That’s what the announcer said when he introduced Ducky’s new band at a local music festival. 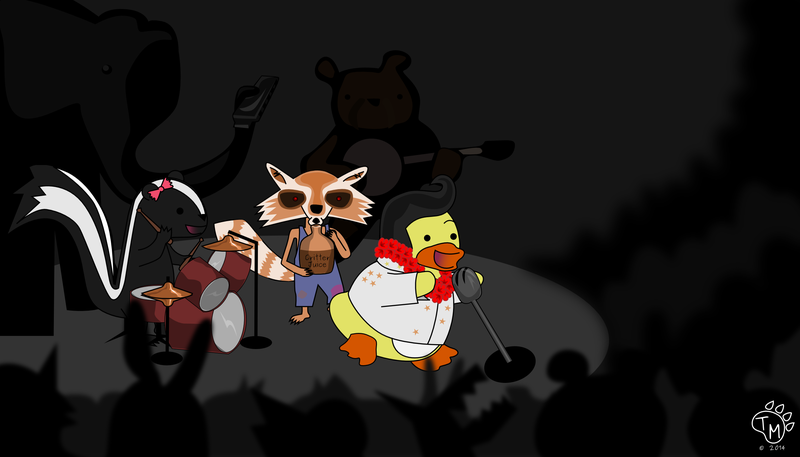 Ducky is the singer, Banjo Bear plucks the banjo, Rusty the raccoon plays the jugs, Franky the elephant toots the harmonica, and Stink the skunk is always up for a DRUM SOLO! The performance went so well, they had to play an encore of “Empty Cookie Jar Blues”.